Dublin City is jam packed with activities suitable for kids of all ages. From Irelands largest Zoo to a dedicated children's museum, here is a list of the best kid-friendly activities for your next trip! 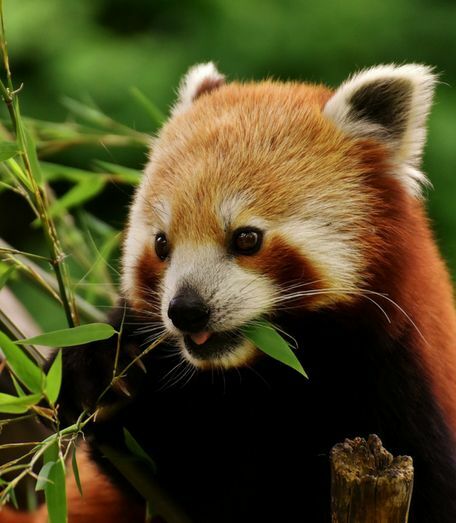 Dublin Zoo is much more than just an enjoyable day out with the Zoo listed as a registered charity dedicated to the conservation of wildlife and in particular endangered animals. Opened in 1831, Dublin Zoo is one of the worlds oldest and now covers over 28 hectares of Phoenix Park with 400 animals living in a safe stimulating environment. With habitats including African Savanna, Orangutan Forest, Sea Lion Cove & much more, a trip to Dublin Zoo is educational for all the family! Experience the medieval period of Dublin’s history at Dublinia & Viking World! Learn to live like a Viking, see archaeology as a History Hunter and climb St Michaels Tower for panoramic views of the city! Catch the 39 to Ongar on Burlington Road, Hop off at Essex Quay and walk just 5 minutes to Dublinia. Located next to Dublinia is Christchurch Cathedral. Founded in 1030 by Norse King Sitriuc Silkenbeard, Christchurch Cathedral is associated with many prominent Irish figures including Strongbow and the patron saint of Dublin. Learn about the rich history associated with this historic landmark while soaking in the stunning architecture. Catch the 39 to Ongar on Burlington Road, Hop off at Essex Quay and walk just 5 minutes to the cathedral (next to Dublinia). Get out and explore Dublin! The Mespil Hotel is just a short walk from Grafton Street and St Stephen’s Green – a shoppers haven. Imaginosity is Ireland’s only interactive childrens museum, designed specifically for children 9 and under. The museum hosts three floors of educational activities including the Wizards Lair, meeting the Eco Badger on the roof garden and taking the rocket ship to Rapunzel’s castle! Facilities include a café, gift shop and lockers, with the museum being fully accessible. Walk 5 minutes to ‘Upper Leeson Street’, catch the 11 towards Sandyford, hop off at Sandyford (Blackthorn Drive) and walk 1 minute to Imaginosity. Enjoy an unforgettable tour of Dublin City on both land and water with Viking Splash Tour! Don a traditional Viking helmet and life jacket while the amphibious vehicles take you from land to water and back again! Tours need to be pre-booked so visit the website linked in green or ask our Guest Relations team in the lobby who will be happy to assist you with all arrangements. 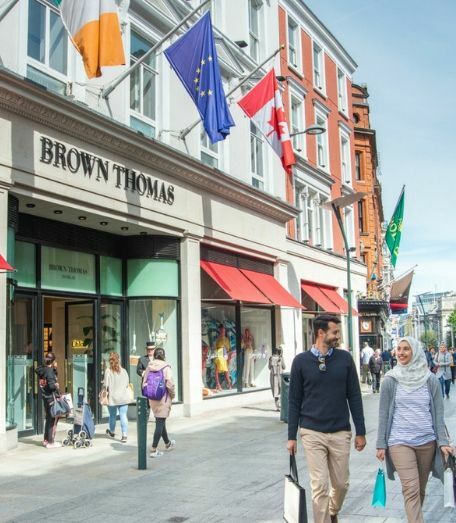 The departure point is located at St Stephen’s Green North opposite Cliff Townhouse & Starbucks – a quick 20-minute walk from the hotel. Located just a ten minute walk from Mespil Hotel, Merrion Square Park offers gorgeous greenery in the heart of Georgian Dublin. The park also features a childrens playground with swings, slides & sculptures – the perfect spot to make the most of a sunny day. Be sure to stop by the colourful statue of Oscar Wilde while you’re there!